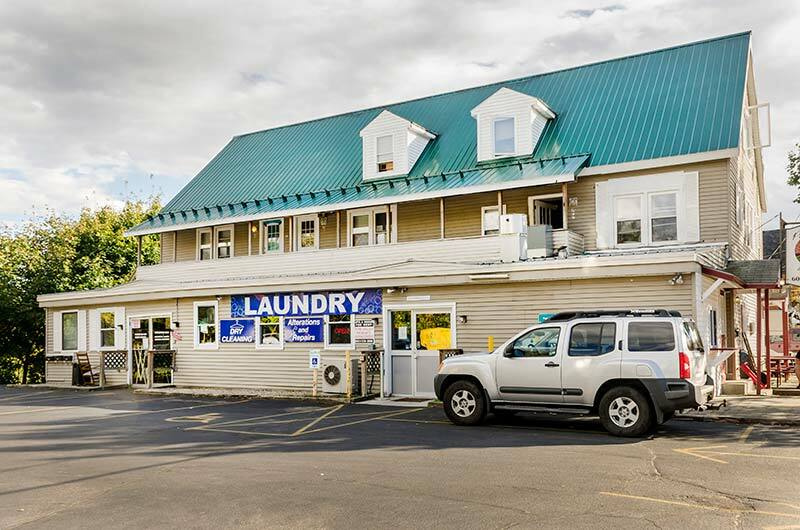 Conveniently located on South Main Street above the Pemi-Valley Laundry and the Panther Pub. There is ample off-street parking for all tenants. This building is a short walk to downtown Plymouth and PSU campus. Heat, hot water, water & sewer, electric, snow plowing and trash dumpster included. Plenty of off-street parking. 3 spacious bedrooms. Large living room. Kitchen has ample cabinet space, full sized self-cleaning oven, dishwasher and full sized fridge. High ceilings with exposed rough cut beams on the first floor. Large storage closet. 2 upper bedrooms have dormered windows perfect for study area. Oversized 4 bedroom apartment. High ceilings with exposed beams. Large kitchen with ample cabinet space full sized self cleaning oven, dishwasher and full sized fridge. Large living room and large bathroom.